It’s that time of year again, the countdown to the Tour de Fleece! Well, not an actual countdown — I’m definitely not organized enough at the moment for that — but we’re under a month until the… what do they call it? The ‘grand départ’? Can I take a minute to tell you a secret? I have never watched a minute of the actual Tour de France. We don’t really watch network TV so my knowledge is limited to the headlines you see on the news websites and the snippets you see around — you know, restaurant TVs, the new “gas station TV” when you’re filling up (really, what’s up with that?! ), or the random crash reel that someone shares on Facebook and I unfortunately, inevitably decide to click on. In short, I know it’s a bike race in France and there are stages and things. I always know the start and end dates, but only because they are the same for the Tour de Fleece. I’ve never really felt compelled to learn more. 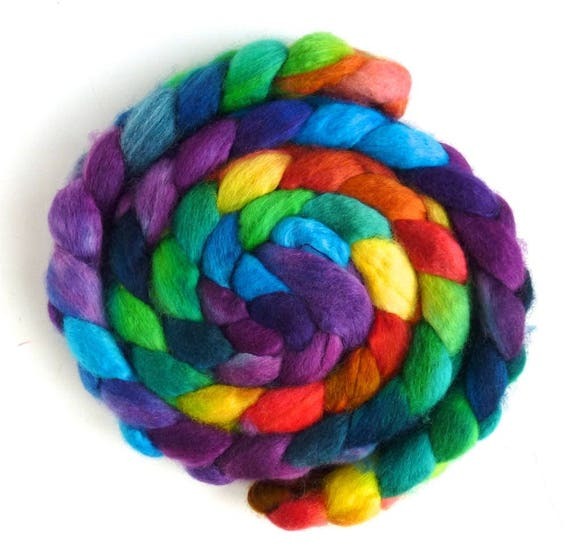 The Tour de Fleece is definitely more my kind of spinning. They’re available on your choice of base here in the Three Waters Farm shop. 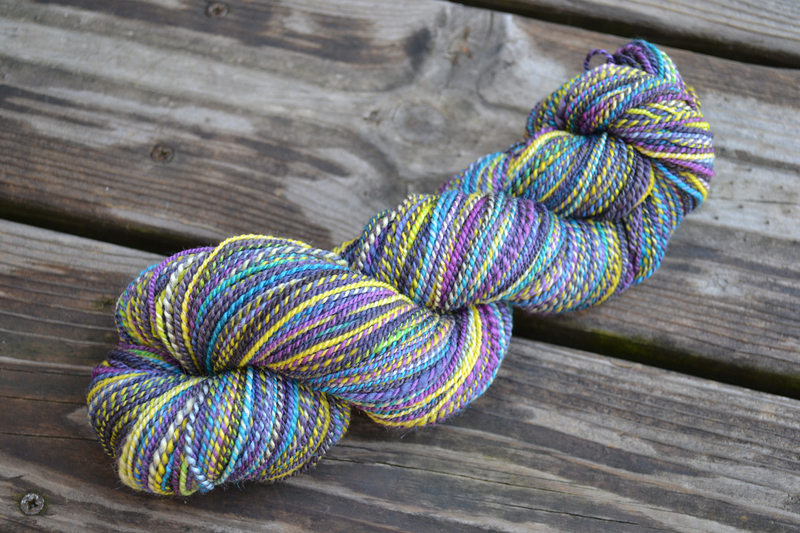 They are currently available for pre-order (until June 8th) and I ordered mine on the BFL base. My plan is to maybe spin both nice and thin so I can do some stripey socks. You certainly can’t go wrong with rainbows and purple though! This was a Top of the Month colorway earlier this spring and the first spin back after my moving hiatus. The fiber blend is 60/40 Polwarth + Tussah Silk and I spun it into about 100yards of heavy worsted chain-plied yarn. I have zero idea what I want to do with it, but I’m thinking it’ll eventually become a hat. I love the roundness of this yarn and the pops of red and yellow here and there. 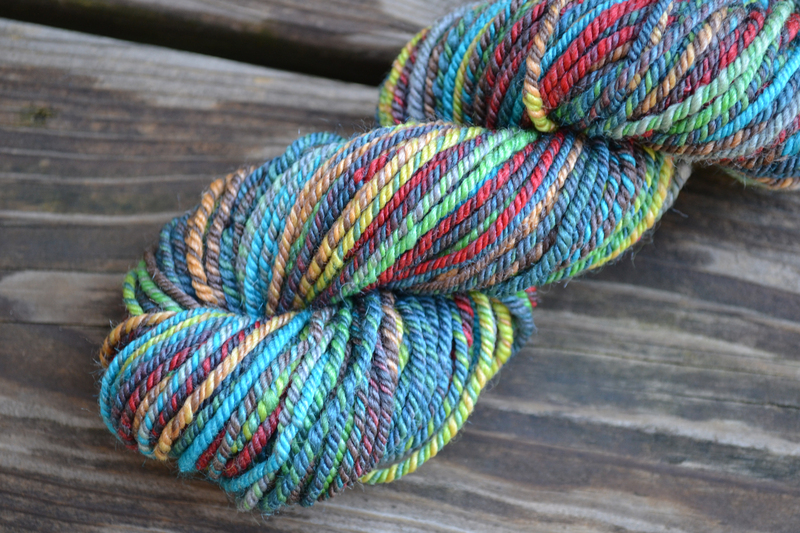 It’s totally not how I normally spin this blend, but I think it just turned out great and it was a lot of fun to spin. 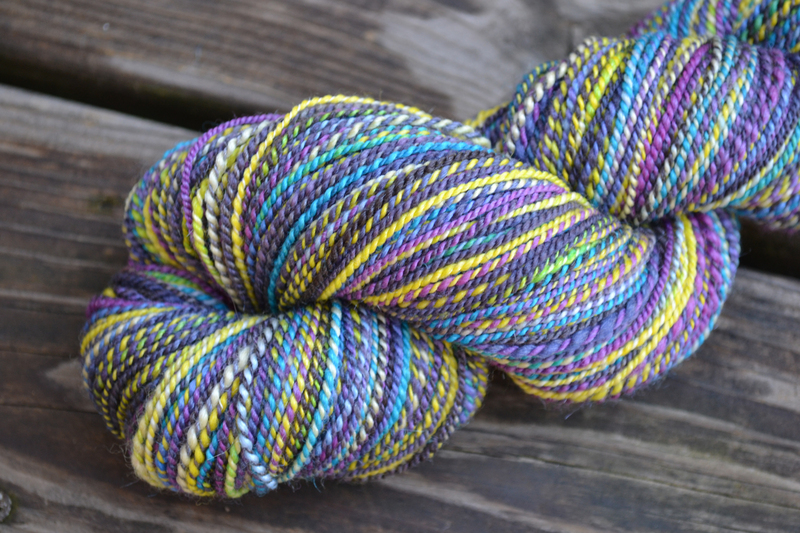 The other skein is another Top of the Month Club installment called Rise and Shine. I’ll be honest, I had no idea what to do with this one when it landed on my doorstep. It’s an 80/20 Merino + Silk blend and I just spun it up into 300yards of 2-plied barberpoley goodness. Like the skein of Flashing Cardinal, I kind of just spun this one to spin so I don’t really have a plan for it. I do love it though — I think the infrequent pops of green are the greatest little touch. I’ve got 2 other TWF spins in the works and I hope to wrap them up before the beginning of the Tour de Fleece in early July. What are you? Do you have plans for the Tour de Fleece? 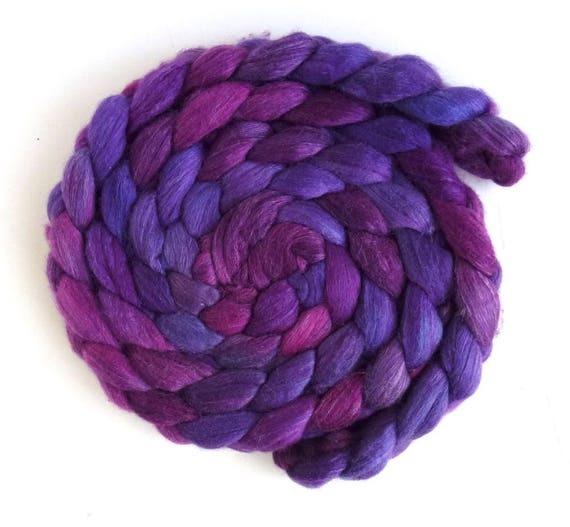 If you have some Three Waters Farm fibers you’d like to spin through with a fun group of talented folks, I encourage you to sign-up for Team TWF — we’d love to have you spin with us! Ha! I’ve watched the TdF, or parts of it, but not the whole thing and not while spinning. 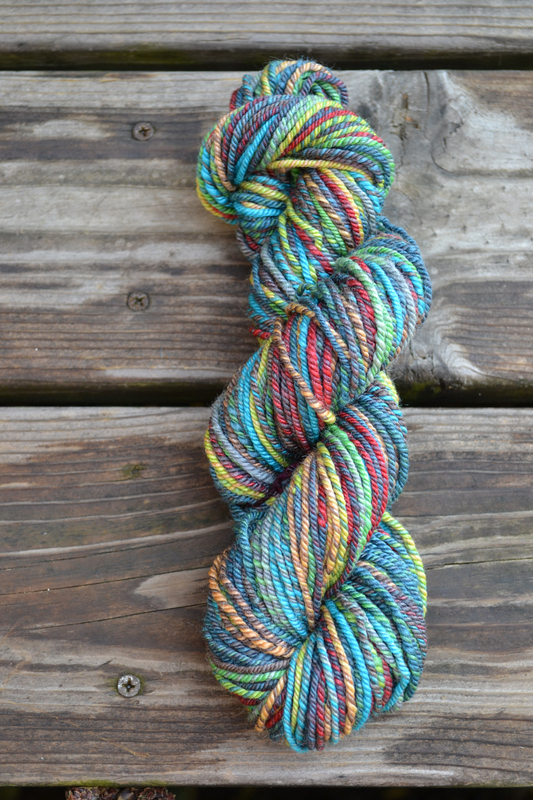 Your TdF fiber looks gorgeous and your finished skeins are inspiring. I skipped TdF last year but I should realy get back to spinning and participate. Yes! You should! I think I love it because it’s such a busy time for me, it’s like permission to relax. As for your current spinning, I love them both very much! That Flashing cardinal is lovely, and Rise and Shine takes my breath away. Cant; wait to see what you knit with them! I don’t think I’ll be joining a team this year but my goal is to get my current spin off the wheel and spin up a bag of alpaca that I received at Christmas! Awesome! We don’t have a team, but a few of us are spinning during the TDF (and always) in the Friends of Knitting Sarah group. You are welcome to join us!